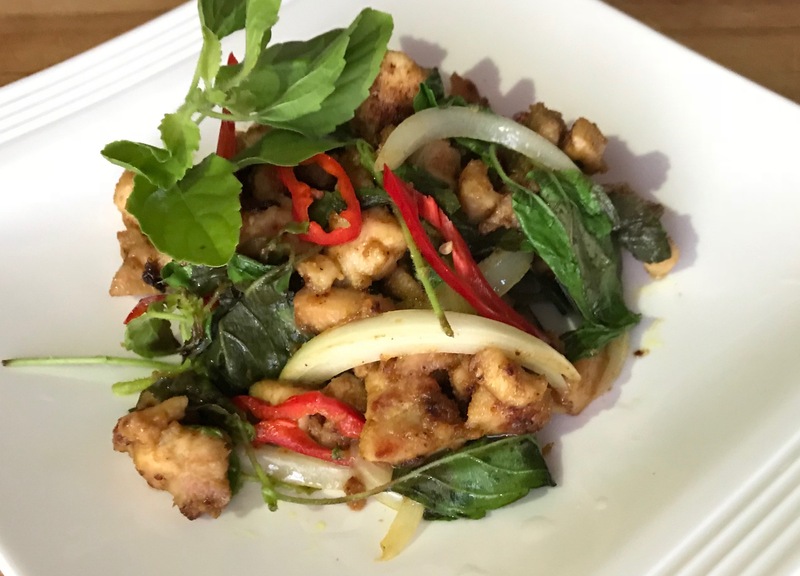 Chicken stir-fried in authentic Cambodian lemongrass paste, with chili, onion, and hot basil. *** Hot basil has unique flavor and aroma, thus it is not easy to substitute. However, the dish is good with Thai basil as well. It is also good with just spinach or kale to add some green to the dish. 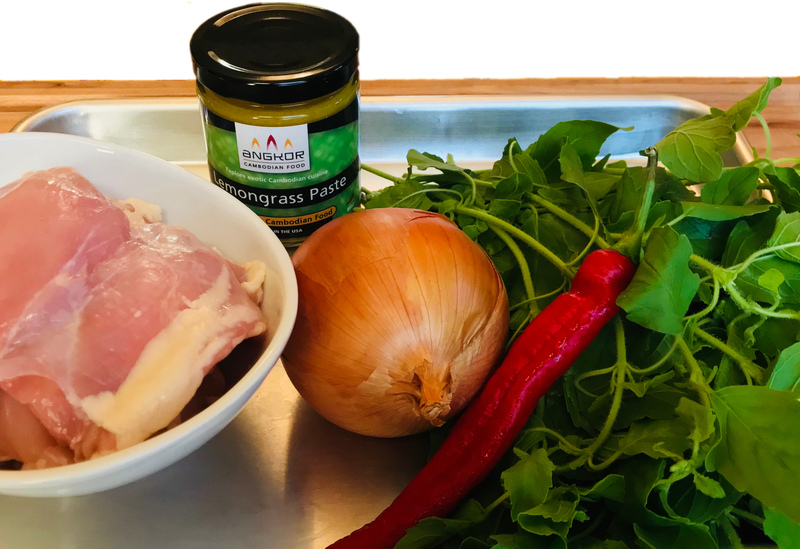 Marinate chicken with lemongrass paste, set aside. Prepare the remaining ingredients. Heat oil on high, add the marinated chicken, stir and cook to your preference (10-15 minutes). Stir in chili, onion and mix well. Turn off the heat and stir in hot basil.